Douglas Brinkley, Chris Connelly, Tim Naftali et al. 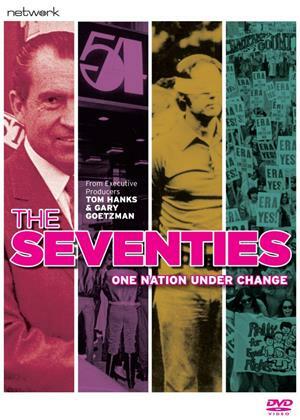 All eight episodes of the documentary series which details the most significant cultural events and technological advancements of the 1970s. This decade saw the resignation of a President in the wake of a political scandal, the women's liberation movement and the spread of terrorism at home and abroad. The episodes are: 'Television Gets Real', 'The United States vs. Nixon', 'Peace With Honor', 'Crimes & Cults', 'The State of the Union Is Not Good', 'Battle of the Sexes', 'Terror at Home and Abroad' and 'What's Goin' On'.